New York is located in the northeastern part of the United States, more commonly known as the Mid-Atlantic region. The state is home to over 19 million residents with over 8 million of them living in New York City. This makes the state one of the most populated states in the nation. 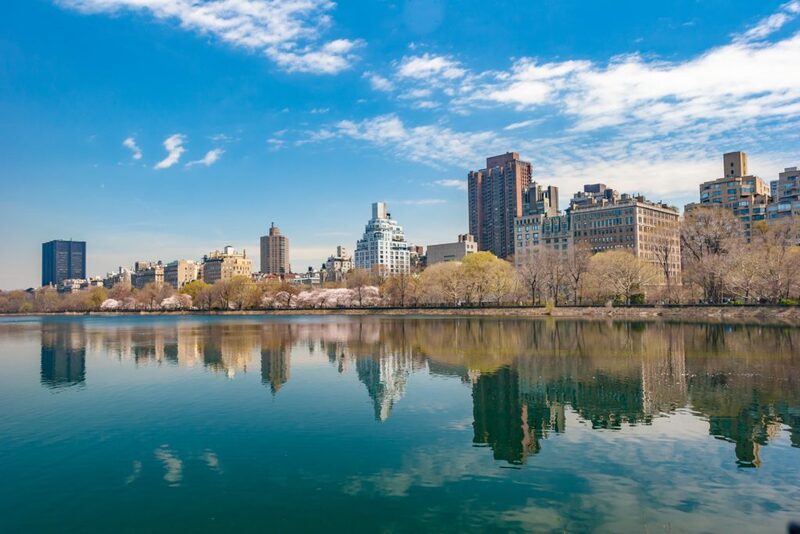 There is much to do in the ‘Big Apple’ between restaurants, parks, museums, and bars. The state’s most popular tourist attractions include Central Park, Statue of Liberty, Empire State Building, and Rockefeller Center. What are you waiting for? Plan a visit to New York. Although New York offers its residents and visitors many conveniences, it is still beneficial to have your own car when visiting or moving to the state. Its location and proximity to main highways make it easily accessible for car transport companies. Below, we have listed why you should own a car in New York. Having a car is convenient for errands. Taking a trip to the grocery store is easy when you have your own car. It allows you the freedom to come and go when you need to. You could utilize a car-sharing service, such as Zipcar. However, this can be expensive and requires planning. You must know ahead of time how long you will need the car. Owning a car makes travel easier. You may want to plan a weekend getaway to another city. Having your own car gives you complete flexibility. A car is especially beneficial if you have friends or family in nearby states, such as New Jersey, Connecticut, and Pennsylvania, whom you visit often. Having a car means you don’t have to take public transportation. Think about your work. Some locations are not as easily accessible by subway as others. This makes commuting by car much easier. New York is filled with both urban and rural centers. In either case, having a car in the state is beneficial for your daily transportation needs. When you are in need of car transport services to or from New York, you can count on National Dispatch to ship your vehicle in a safe and timely fashion. At least once in a lifetime, everyone should visit New York. You may come to find that “the city that never sleeps” is the place for you to call your forever home. Below, we have listed some of the most popular cities in the state. As we mentioned before, New York City is the most populated city in the United States with over 8 million people. New York City is filled with businesses encompassing a variety of industries, including banking, finance, fashion, advertising, and more. This makes the city the perfect location to jump start your career, no matter your profession. It is impossible to be bored in New York City with numerous attractions to visit. Take a ride on the Staten Island Ferry for beautiful views of the Statue of Liberty and Manhattan skyline. Climb to the 86th floor of the Empire State Building for a 360-degree view of the city. Learn more about New York City and New York City Car Shipping. Buffalo is a city in upstate New York that sits along the shores of Lake Erie and borders Canada. Due to its proximity to the border, Niagra Falls is just a short trip away. The city has gained recognition for its delicious food, particularly its chicken wings. Have you ever wondered how the buffalo wing got its name? The Anchor Bar, located in downtown Buffalo, is known for being the birthplace of the original chicken wing. The city is home to two major professional sport teams. For Football, it is the Buffalo Bills. For Hockey, it is the Buffalo Sabres. You should also check out the Buffalo Zoological Garden and Albright-Knox, a world-renowned art gallery. Rochester is home to several educational institutions, including the University of Rochester and Rochester Institute of Technology. Both of which offer exceptional research programs. The city has been named one of the best places to raise a family. This is due in part to its moderate cost of living. Rochester is filled with art and culture. Some of the top tourist attractions include the Rochester Museum of Fine Arts and the Rochester Contemporary Art Center. The city is a great place for photographers. The founder of Kodak was a residence, and the corporation is currently located in Rochester. In addition, Xerox is located in the city. Yonkers is a quaint city near the Bronx. It is home to the nation’s oldest golf course still in operation. Yonkers is about a half hour drive from Manhattan. Being a smaller city has its advantages. It is close to larger cities but without the high taxes of New York City, Brooklyn, or Queens. Locals and tourists enjoy the brick oven pizza. You will find many people at Redmond Park, The Hudson River Museum, and Yonkers Raceway. You should also check out the farmer’s market at Ridge Hill for the best produce. If you enjoy outdoor recreation, you can become a member of the Yonkers Paddling & Rowing Club. Watch the sunset over the Hudson River as you paddle. Syracuse has gained recognition for being the best place to live, raise a family, and buy real estate. The city is home to several colleges and universities with the main one being Syracuse University. Not only does the university provide higher education opportunities, it also provides a number of jobs to the city’s residents. The city has over one hundred parks. These parks offer a numerous outdoor recreation activities, such as boat rentals, fishing, biking, and more. The city also hosts many festivals and events. One of the most popular attractions is the New York State Fair in Syracuse. A trip to New York is well worth the visit. You might even come to love one of the cities enough to make it your permanent home. If you are in need of New York car transport services, contact National Dispatch. We offer a free, instant quote. No personal information is required. You can count on us for affordable rates, fast shipping, and reliable service. Call us at 800-321-2051 to book car transport services.